Glengarry Castle Hotel transports you on a time travelling adventure to a grand, grey stone Baronial mansion, designed by the eminent architect David Bryce in the 1860s, complete with towering turrets and turells. 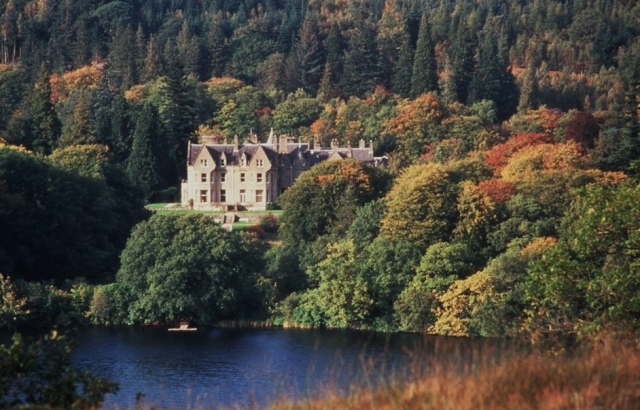 surrounded by sixty acres of landscaped garden, wild woodland on the banks of Loch Oich and the skeletal ruins of Invergarry Castle (where Bonnie Prince Charlie once stayed, and destroyed after the Jacobite rebellion) adds to an amazing sense of being part of Scottish history. Owned by the MacCallum family for sixty years, the 26 bedrooms are freshly, tastefully decorated with modern bathrooms, yet matched by vintage style of furnishings to retain the essence of a Scottish Country House. 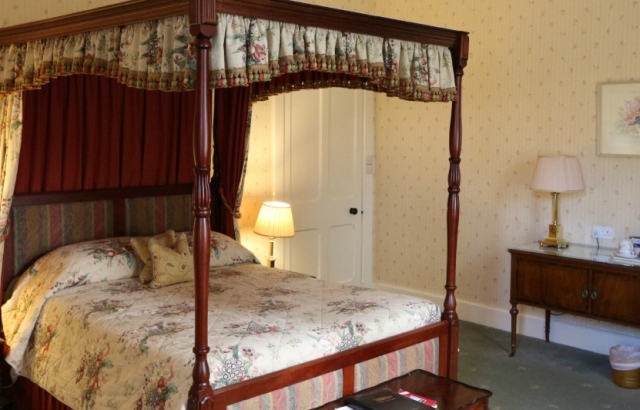 Expect tweed armchairs and chintz curtains, a huge library of books and roaring log fires. In the elegant dining room, the two or three course dinner focuses on quality, seasonal local produce, simply prepared and well presented. Breakfast is excellent from the range of classic dishes to friendly service for a leisurely start to the day with fabulous views too over the gardens (grazing sheep in the meadow) and down to the loch. 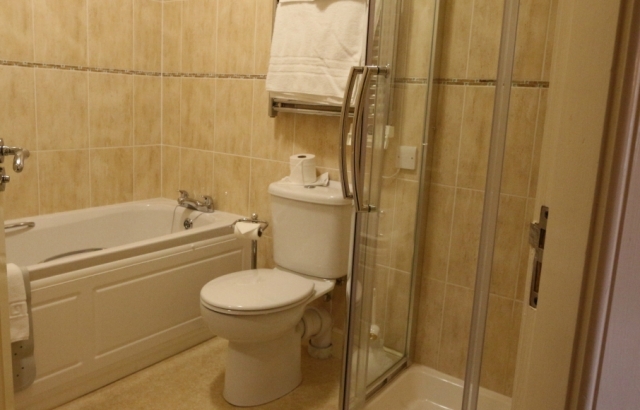 Guests range from international travellers, country sportsmen, families, elderly and young couples, the majority staying for three to five days, in order to relax and explore the Highlands. Rowing boats can be rented from the jetty, there’s a tennis court, try a spot of fishing, or take day trips to Fort William, Glencoe and Loch Ness. The location is perfect for touring the key scenic attractions. The Drawing Room and Library offer a quiet place to relax over Afternoon Tea, an aperitif and an after-dinner dram. Enjoy a stroll around the gardens, flourishing through the seasons from daffodils to rhododendrons, and along the water’s edge of Loch Oich. You might even spot red deer on the hill on the opposite shore. Glengarry Castle Hotel – chic, charming, romantic and relaxing offering traditional Scottish hospitality and heritage with a warm welcome from the MacCallum family at their Highland home.